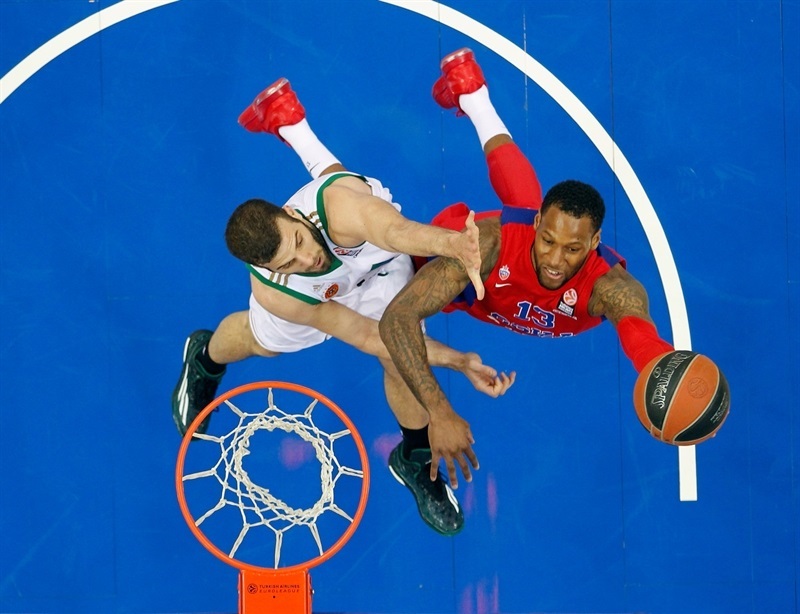 CSKA Moscow led from tip to buzzer in routing Panathinaikos Athens 93-66 in the opening game of the teams’ best-of-five Turkish Airlines Euroleague Playoffs series. 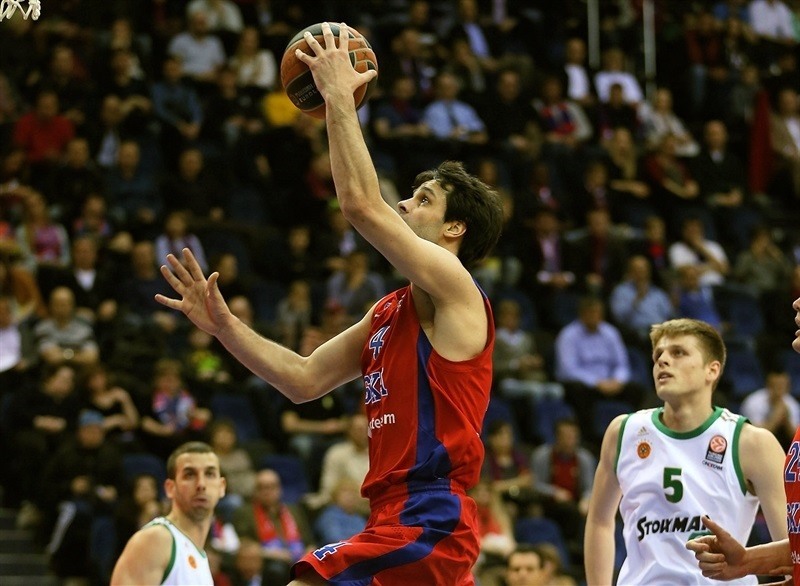 Milos Teodosic starred with 18 points and 8 assists in less than 20 minutes for the winners. 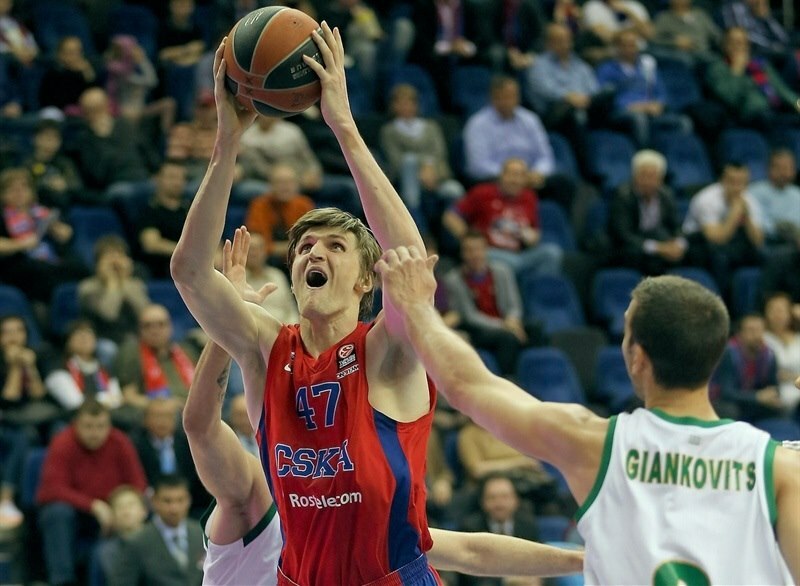 He scored 10 in te first quarter as CSKA took control, 29-21. 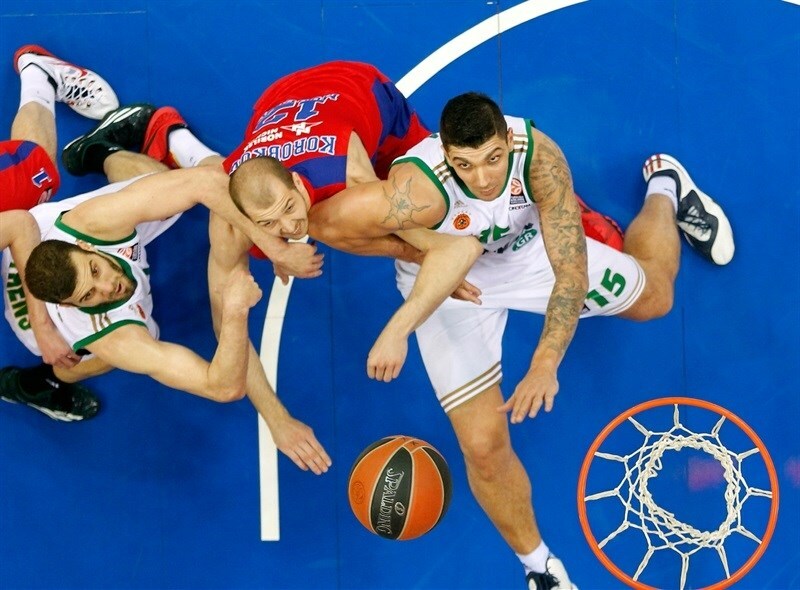 The hosts defense did the job in the second quarter, holding Panathinaikos to just 6 points in building a 56-27 cushion. 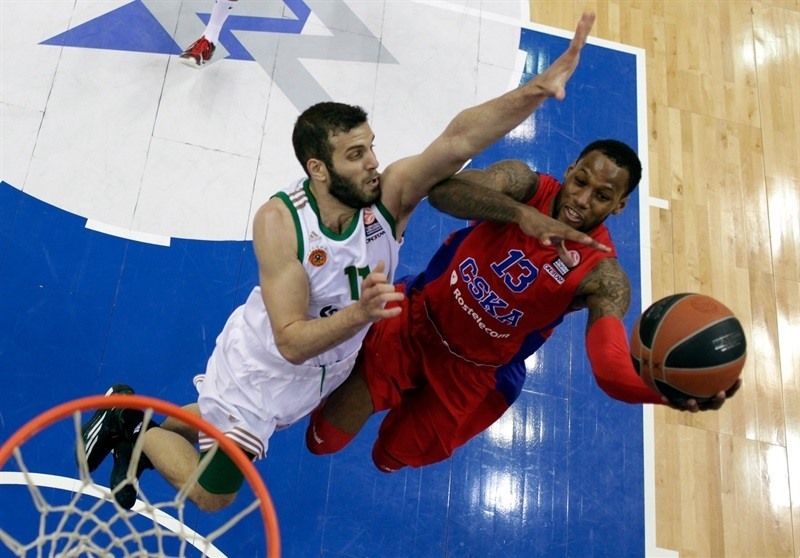 The lead was CSKA’s largest ever at halftime in a playoff. 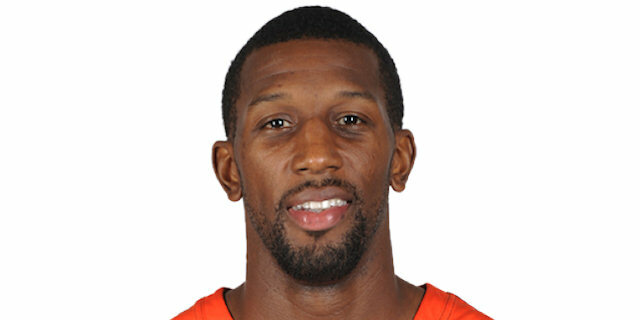 When James Gist dunked twice in a 0-8 Panathinaikos third-quarter run, Teodosic came off the bench to score 8 points in one minute and spark a 12-0 run as the hosts cruised the rest of the way. Manuchar Markoishvili and Demetris Nichols each scored 13 points and combined to make 6 of 7 threes, while Andrei Kirilenko netted 12 for the winners. All 12 CSKA players scored. 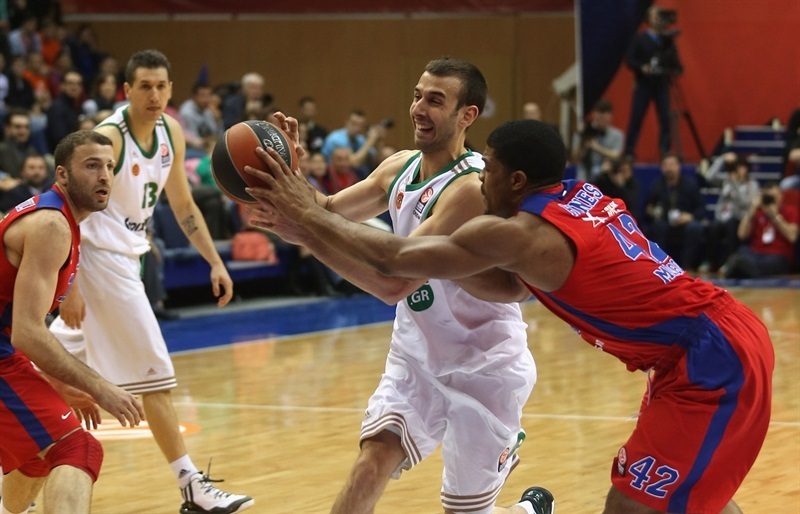 Nikos Pappas paced the Greens with 16 points, Gist scored 14 and Loukas Mavrokefalidis added 10 in defeat. CSKA won the opening tip and scored first through a second-chance Teodosic jumper. Kirilenko made it 4-0 before Panathinaikos got on the scoreboard when Dimitris Diamantidis whipped a pass to Esteban Batista for a reverse layup. Teodosic drained a three-pointer at the other end. Vasilis Charalampopoulos, who started in place of the injured A.J. Slaughter, kept it close with a triple for the Greens that made it 7-5. Sasha Kaun netted a pair of free throws and Batista scored a second time. 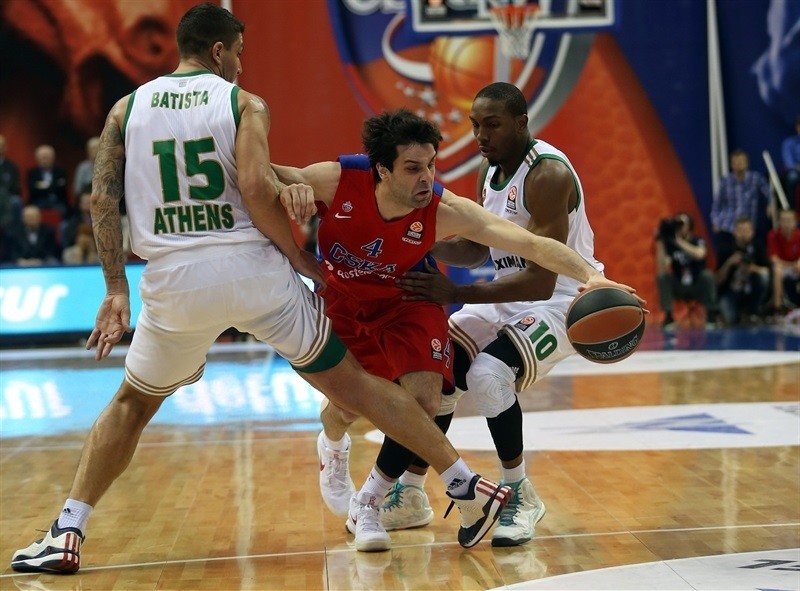 Teodosic sliced through the Panathinaikos defense for a layup and then found Andrey Vorontsevich open in the corner for a three. Sonny Weems lofted a perfect pass on the break to Vorontsevich for an alley-oop slam that made it 16-7 after four minutes and prompted a Panathinaikos timeout. Vorontsevich saw Kirilenko cutting on the weak side and fed him for a slam that capped a 9-0 run. 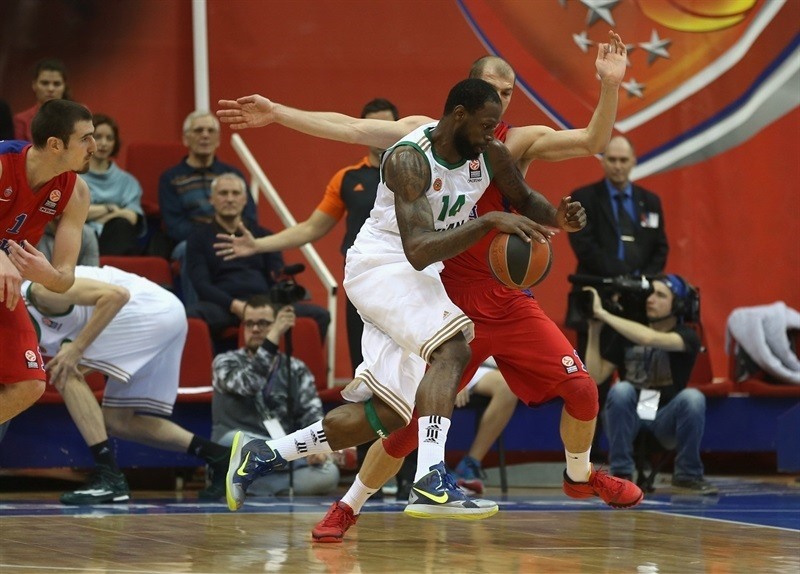 DeMarcus Nelson, who subbed in for Diamantidis during the timeout, scored for the visitors. Another reserve, Mavrokefalidis, sank a baseline jumper. Kaun muscled his way to a basket, but the Greens were comfortable as Pappas drained a pair of threes to get his team within 5. Kirilenko found Kyle Hines for a slam before Gist scored his first points for Panathinaikos. Teodosic’s second three gave him 10 points already. Pappas scored again, but Nando De Colo’s layup on the buzzer ended the quarter at 29-21. De Colo gave the hosts’ a double-digit advantage with a three-pointer. Diamantidis lobbed a pass to Batista for a layup and soon after they played the pick-and-roll for a batista bucket, but in between Markoishvili buried a three-pointer. A second Markoishvili triple made it 38-25. Teodosic assisted Kirilenko, who took the difference to 15 before a Panathinaikos timeout. CSKA continued to dominate with Kirilenko splitting free throws and Teodosic coming up with a steal and assist to Nichols for a 44-25 cushion. 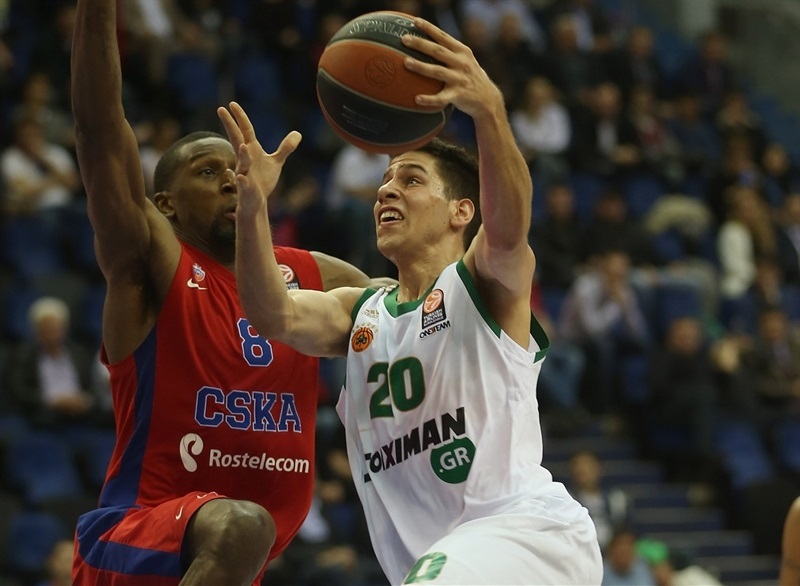 CSKA held Panathinaikos scoreless for more than six minutes. In that time, Nichols added another three, Kirilenko dunked on the break and Nichols drove for a layup to cap a 16-0 charge. Gist ended the Panathinaikos drought, but Kirilenko sank another three and Jackson’s steal led to a layup in the final seconds for a 56-27 halftime lead. Pappas mad a tough layup on the break for the points of the half nearly two minutes in. Batista’s steal set up Pappas for another score before Kaun got CSKA’s first points of the half. Gist broke free for a reverse slam off an inbounds play, but Jackson came back with a three-pointer and a tip-in for CKSA’s first 30-point lead. Gist silenced the crowd with a wicked slam and Pappas added 4 free throws over two possessions to make it 63-39 at the midway point of the quarter. After Charalampopoulos assisted Gist for a fast break slam, CSKA called timeout. Teodosic came back in and immediately banked in a shot and drained a pair of threes to calm the hosts’ nerves. Kirilenko assisted Pavel Korobkov for a dunk. Then De Colo delivered a no-look pass to Korobkov for another slam that capped a 12-0 run. Vlantimir Giankovits split free throws for the visitors and Markoishvili made 2 for the hosts to end the quarter at 77-42. 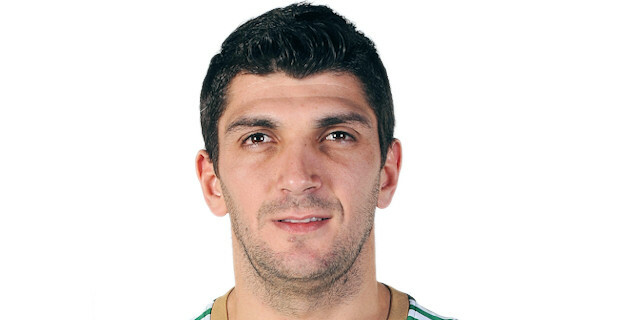 Sixteen-year-old Michailis Lountzis debuted for Panathinaikos and made his first shot before assisting on a Giankovits three-pointer. Weems made a step-back jumper for his first points. 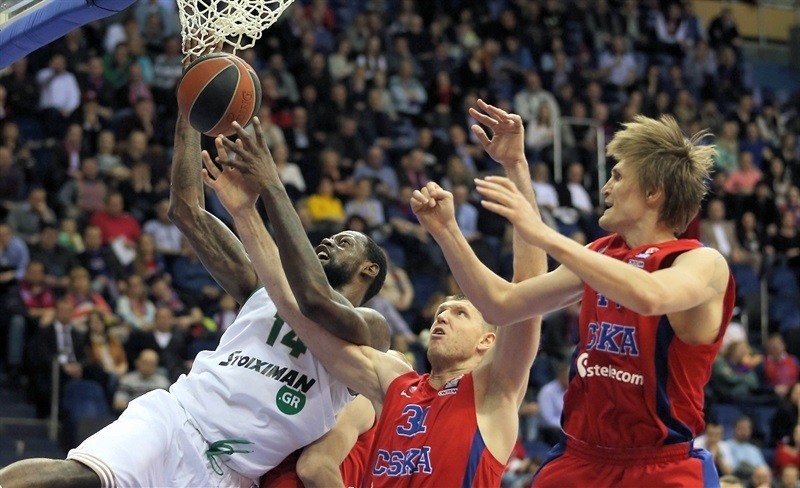 Gist made his first three for Panathinaikos. 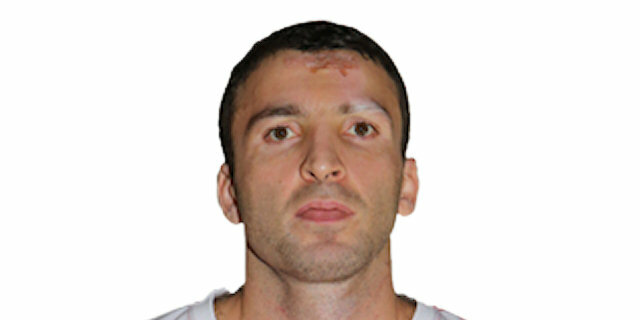 After a Vorontsevich slam, Giankovits added a second three. Markoishvili made it 84-54 midway through the quarter with another triple. Mavrokefalidis fought for a basket-plus-foul. 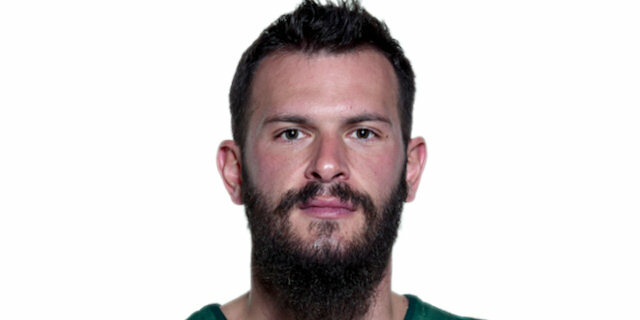 Antonis Fotsis added a three-pointer for the Greens. 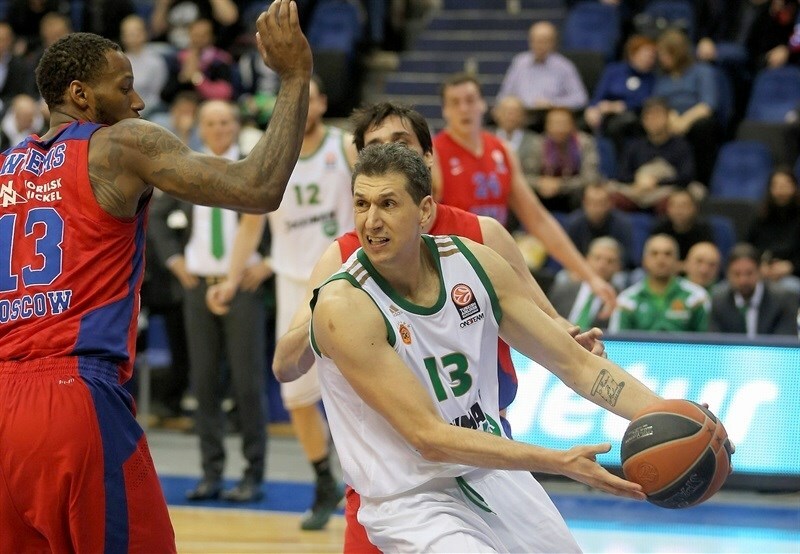 Markoshvili and Mavrokefalides added late scores as the final minutes ticked away from a lopsided CSKA win. "Congratulations to my team, most of the game we played pretty good basketball. For sure, we have reserves on defense, but we won the second and third quarters combined with 48-21 score. And in the end we shared the minutes and were not so focused, making some stupid turnovers and allowing easy baskets. But it would have been different a in tougher situation, and I know that we can play better. This is just 1-0, and we have long series ahead. Panathinaikos did not show real picture in Game 1, they are better than you saw; they definitely miss the injured Slaughter. Still Panathinaikos has a number of mature, experienced players, and they will show it in Game 2. We said in the locker room that we have to play with the same hunger, motivation and concentration to win again." 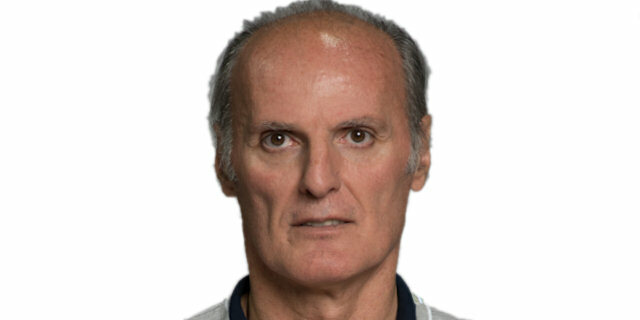 "Congratulations to CSKA, they played a very good game and we did not. In the second quarter we were far from Euroleague level and I did not understand my team. We tried to do something in the second half, but it was late. All my teams fought against CSKA. And tonight we were down by 8 after the first quarter, but my team did not show that it is ready to play because we allowed almost 30 points and CSKA played easily. This is just one game, and you need to win three to go to [the Final Four]. We have two days to change our mental approach. CSKA is a very good team with many great players, but I believe that we have a chance in this series." "We were excited to play, we knew what we have and tried to be as perfect as we could. All the guys remembered what coach asked us to do and tried to execute. " "I think we played very aggressively on defense from the first minute and we had good tactics prepared against them. We prepared very well and we executed very well. I would say that this is just one game and we have to forget about this as soon as possible and think about the next one. We had an idea offensively and defensively and we followed it very well. And we need to keep doing this so it will be stable. " "For sure it was not good game for us today. We allowed too many points early in the game. We did not try and did not play as we wanted to do. We were not prepared mentally first of all. It’s 1-0 now and we are looking forward to the next one." "Of course we did not expect to play such defense in the game. I think our mistakes were in our heads, we were not concentrated and focused to fight during the game. In the second quarter we lost our character we should use in playoffs. To fix all the things later was too late. It’s 1-0 now and nothing matters. Nobody wants to lose."